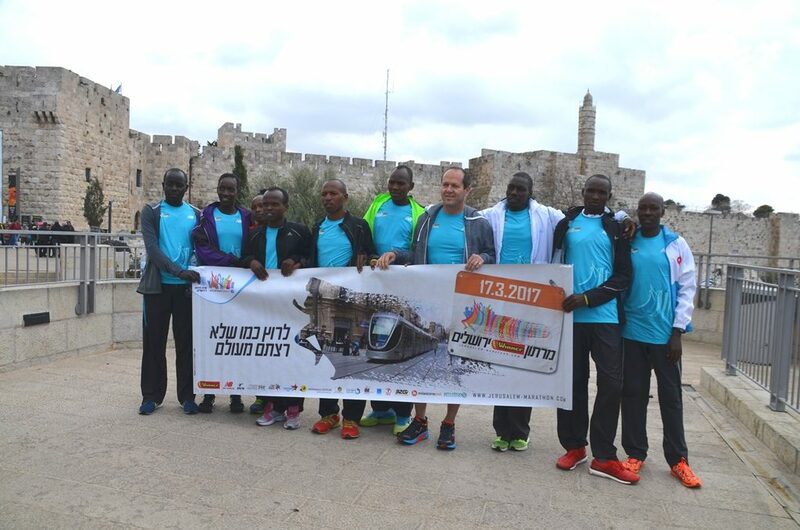 The Jerusalem Marathon for 2017 was on March 17th. 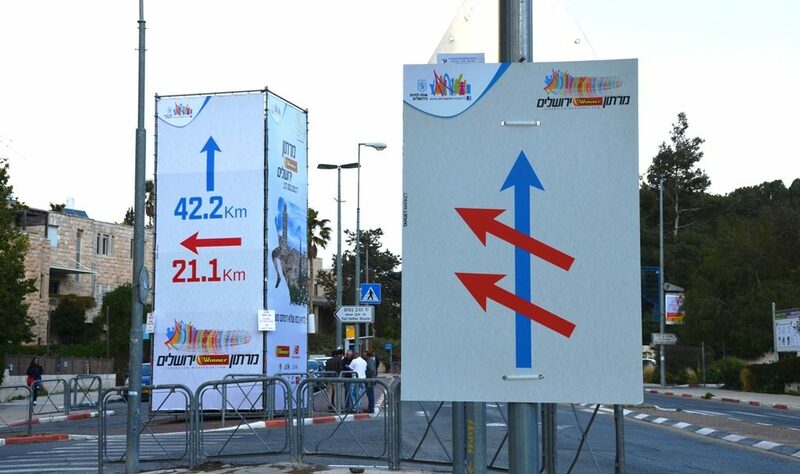 for the full marathon runners. but it is not always entirely clear which way to go. 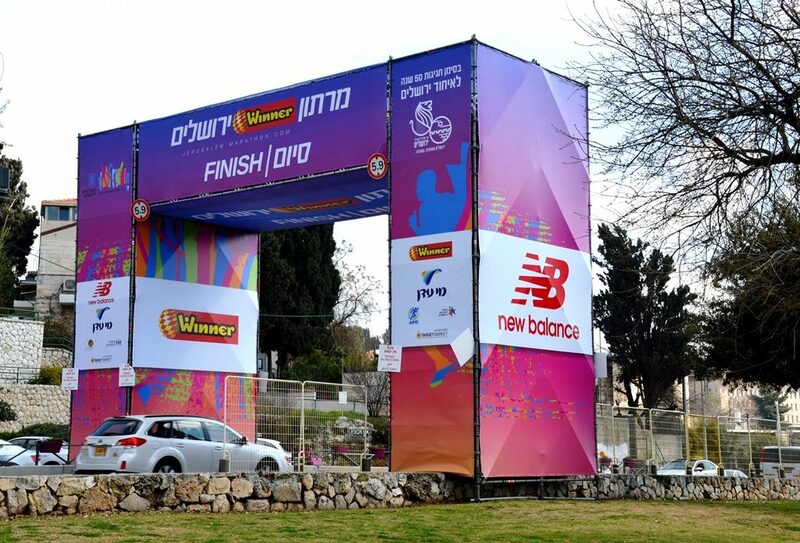 wishing runners well is very clear. 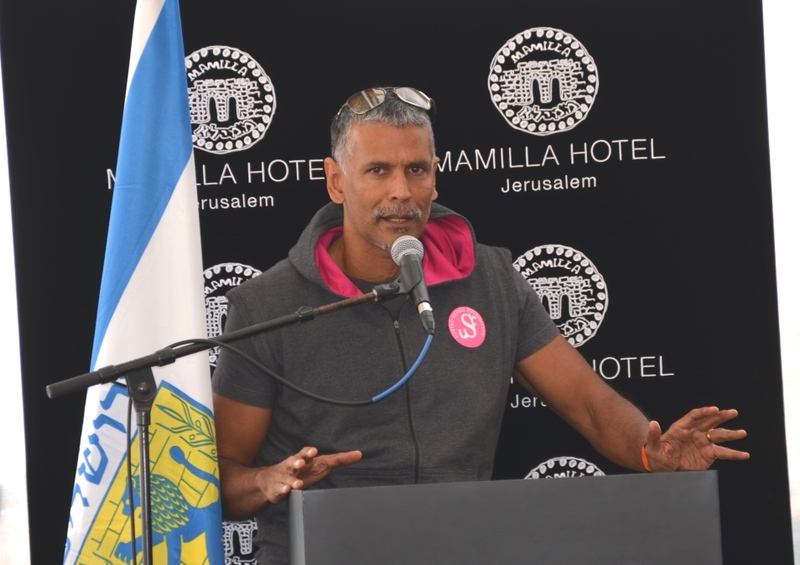 Jerusalem Mayor Nir Barkat was introduced to Milind Soman. but now I am now a fan of Milind. Soman spoke so emotionally about his first visit to Jerusalem. and need a visitor to remind us how special these streets are. 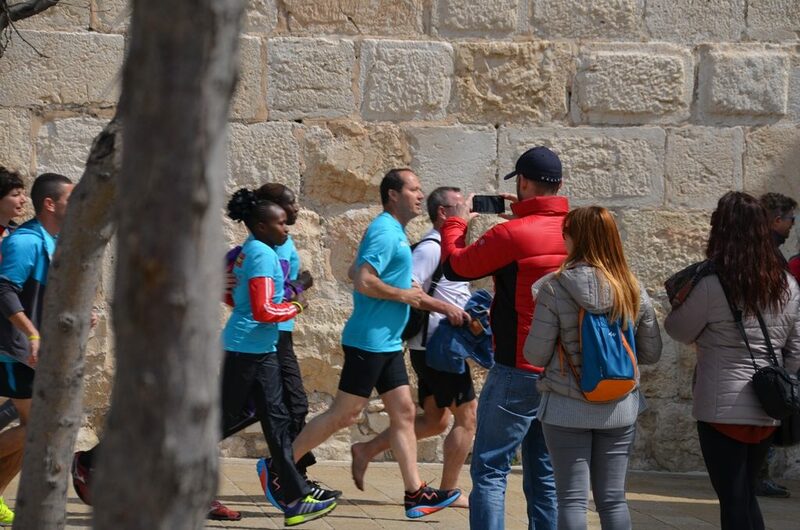 with the Old City and Tower of David in the background. 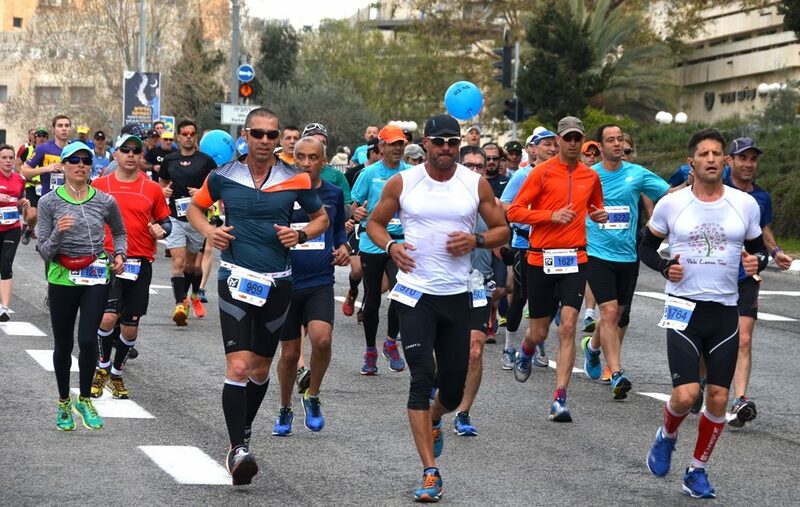 Some of them looked familiar from past marathons. though the guy in red jacket got a much closer shot. 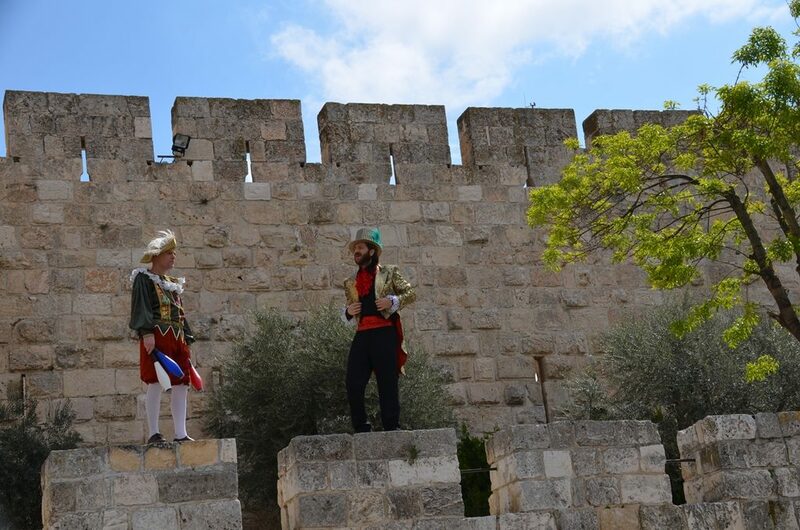 these fellows were standing on the walls at the Tower of David. 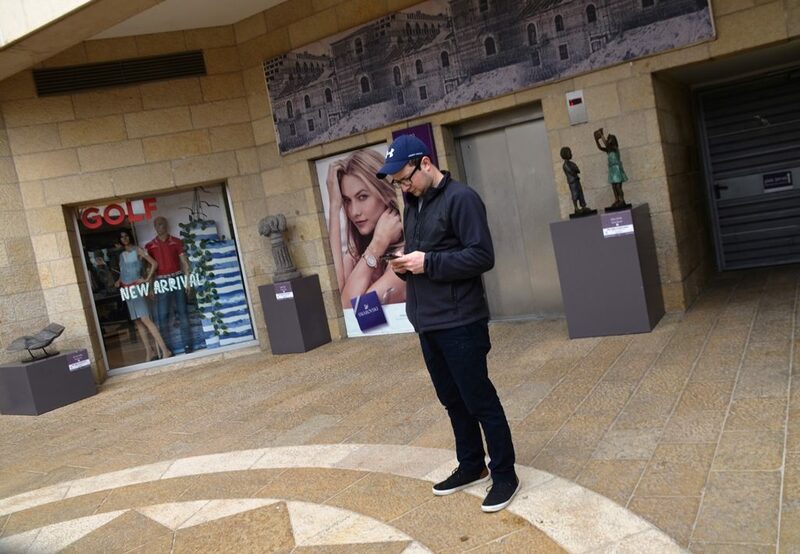 Never know who or what you will see in Jerusalem! I wonder if this guy ever looked up and noticed. but you have to stop texting to see them as they whiz by. 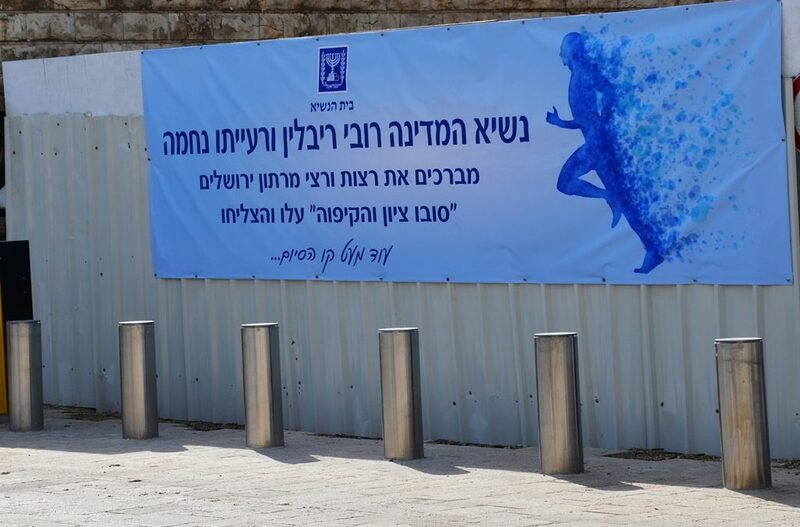 Running in Jerusalem has come along way in seven years. best photos in next post. 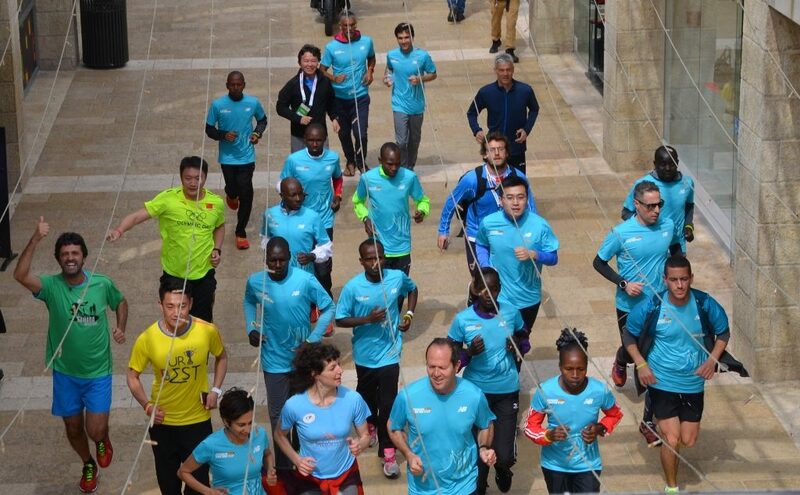 This time I got the Mayor at the starting line and finish! it is truly a special experience.